Alexandra joined the Chicago Rosemont office as Client Services Coordinator with the Industrial and Logistics department after working 8 years in Colliers, Greece with most recent position Senior Associate Greece & Serbia. With more than 8 years of real estate experience, she performs executive business support, assists senior management and department in proposals/presentations, coordinating events and monitoring outcomes. With an insightful ability to stimulate effective communication and motivate colleagues, she excels at coordinating projects and providing memorable service while partnering with all levels of management to support corporate objectives. With a commitment and passion for what she does, Alexandra strives to create memorable experiences for clients and colleagues, ultimately exceeding expectations. proceeded in an organized way. Result was for the team to submit deliverables much ahead of deadlines with the client providing a 10 NPS score. Negotiated and secured competitive fees for conference participation and sponsorships, award participations, memberships and vendors supply orders reaching up to 50% discount rates. Resourceful in improving a variety of operations: staff recruitment and onboarding, NPS procedure, colleagues’ professional development. Proactively created: new Handbook Guide and Induction Plan for new employees, Mentorship Program, #SECF Excellence Program, Employee Performance Assessment. In 2012 received CPMC (Commercial Property Marketing Certificate) accreditation from completing 30 hours of courses from Colliers University. Elbit Cohin Island, Millennium Bank, Attica Bank, H＆M, Dolphin Capital Partners, Orange Business Services, Mattel, Xerox, National Bank of Greece, Scientific Games, Electrolux., Canadian Embassy. I team with Colliers International industrial brokers to provide supply chain consulting services ranging from strategic capability assessments and development to operational guidance on inventory management, transportation, procurement, and omni-channel distribution network optimization. 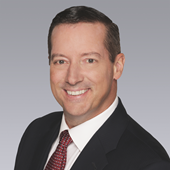 Prior to joining Colliers, I was the senior vice president of supply chain transformation at Newell Brands, where I focused on distribution and transportation optimization as well as optimal network design across a $15 billion portfolio of more than 130 brands. Before Newell Brands, I spent 15 years at Walgreens Boots Alliance, most recently as the group vice president of Supply Chain Strategy and Retail Transformation. Previous roles included group vice president of global inventory and transportation, head of corporate supply chain functions, and leader of the logistics and distribution engineering and technology group. I worked with the team at Walgreens to build a world-class distribution network to support a six-fold growth in store count over a 10-year period. I also worked in the Management Consulting Practice at Cap Gemini and Ernst & Young for eight years prior to joining Walgreens Boots Alliance, where I deployed process and technology optimization solutions for leading global retail and consumer packaged goods companies. With nearly 25 years of large-scale supply chain expertise, I bring to bear a relevant and impactful blend of roles and experience to help companies leverage supply chain as a strategic differentiator and a competitive advantage. Landlords and tenants rely on my comprehensive real estate services, including new requirements, lease renewals, sale/leasebacks, build-to-suits and property marketing. As a member of Colliers International’s Industrial Advisory Group, I specialize in the leasing, sale and development of commercial properties in the northwest suburbs of Chicago. I bring my clients extensive knowledge in national and international tenant representation, and I have worked with many strategic multi-market clients around the world. My commercial real estate career spans more than 16 years having worked at both Avison Young and Cushman & Wakefield in Chicago. Prior to brokerage, I worked in retail and operational management. 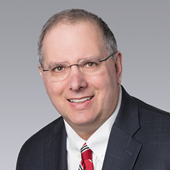 Ned Frank is a vice president within the Industrial Advisory Group of Colliers International | Chicago. His expertise in site selection, lease negotiation, lease renegotiation, sales, incentive procurement, and capital market interaction helps companies to develop and execute real estate strategies that support their business goals. Prior to his current position, Ned worked as a carrier sales associate for Real Time Freight Services, LLC in Chicago. In this role he increased prospect conversion and revenues by a notable percentage. His extensive sales experience and ability to meet his clients’ needs proves to be a valuable asset in obtaining new business. Ned graduated with distinction and received his Bachelor of Arts degree with a major in economics and political science from Indiana University in Bloomington. 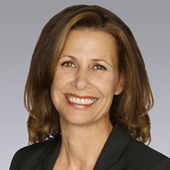 Pat is a Senior Associate with Colliers International | Chicago’s Industrial Advisory Group. 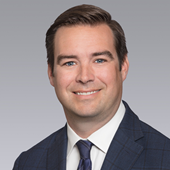 He specializes in representing local and institutional clients in leasing, development, acquisition and disposition of industrial, flex and land properties in Southeastern Wisconsin, Lake County and Northern Cook County. 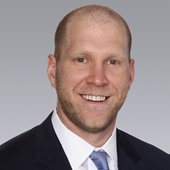 With 6 years of experience and expertise throughout the Southeastern Wisconsin area he has facilitated over 100 transactions, totaling 4M SF and valued at over $90M. Pat has proven to be a terrific market communicator and is a responsive trustworthy source to clients. Pat started his career with Colliers as a brokerage intern in the Milwaukee, Wisconsin office while attending Marquette University. After graduating he joined the industrial team as an Associate Broker where he represented institutional and private Landlords on speculative developments, value add leasing assignments, building sales and land dispositions. Pat also represented national and local tenants/users on lease and sale transactions. 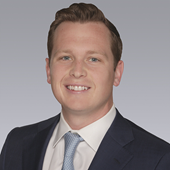 Pat recently transferred to the Colliers Chicago office and was promoted to Senior Associate. He is working with Vice President, Ned Frank.